As you all know I’m a great fan of bracelets and there’s always something dangling around my left wrist. 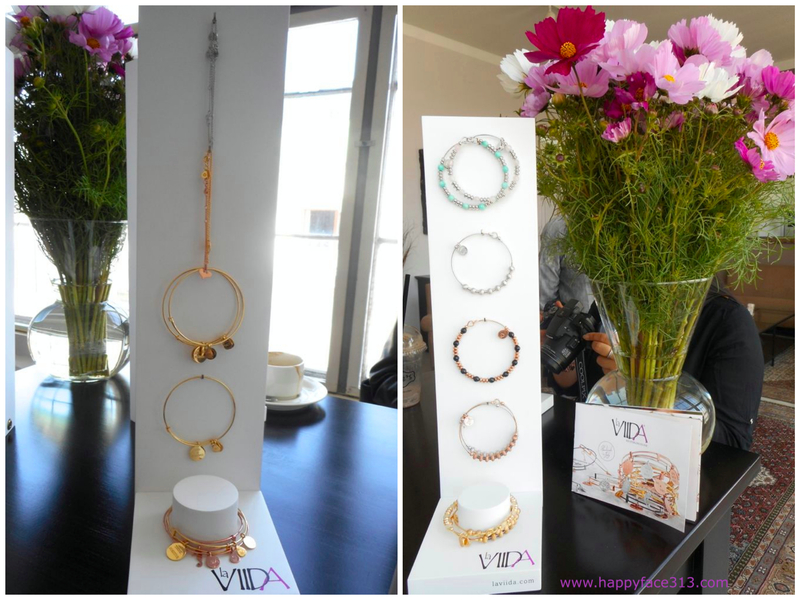 So it was a special treat for me to be invited to a presentation of La Viida jewelry a couple of days ago. It’s a fairly young Italy based company that makes beautiful and very delicate jewelry. Dass ich eine große Schwäche für Armbänder habe, wissen Sie bereits. Irgend etwas baumelt immer um mein linkes Handgelenk. Deshalb habe ich mich ganz besonders gefreut, kürzlich zur La Viida Schmuck-Präsentation eingeladen worden zu sein. Hierbei handelt es sich um eine relativ junge italienische Firma, die zauberhaft feingliedrigen Schmuck herstellt. 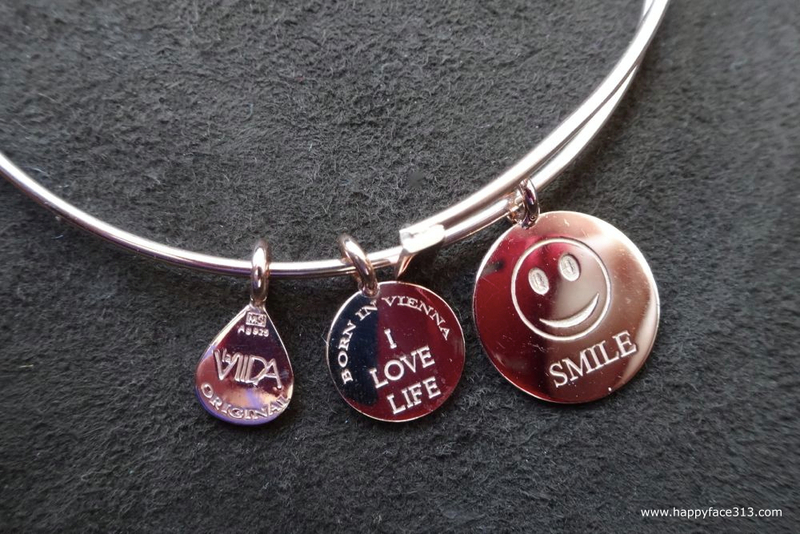 La Viida stands for (in)comprehensable moments in life and the desire to share these with jewelry and the message: I Love Life! 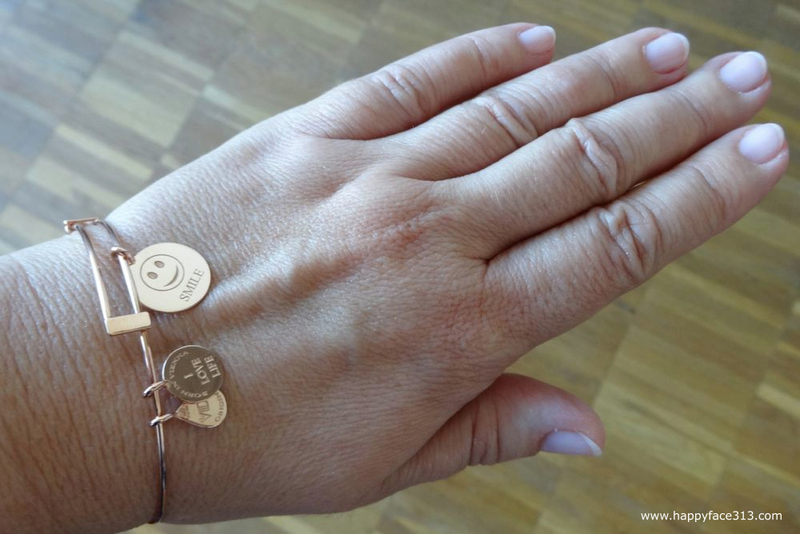 La Viida steht für die (un)fassbaren Augenblicke im Leben und dem Wunsch diese mit Schmuck und der Botschaft: Ich liebe das Leben! zu teilen. “Yes, you can“, we told each other yesterday, today we were lucky and tomorrow we will be in love! We wouldn’t like to miss any of these feelings, we want to remember them and treasure them forever. Just as we experience and “feel” every single day, jewellery too is pure emotion. The laViida pendents made of Sterling Silver translate experiences, emotion and precious stones into lovely forms, which accompany the woman who wears them through the day – in high spirits and full of energy. The “Vario” collection tells us about the joy of life, “Motto” provides us with messages full of joie de vivre, “Simboli” shows what is important to us and “Ti Amo” displays who we love – for example YOU! „Yes you can“ sagten wir uns gestern, heute hatten wir Glück und morgen sind wir verliebt! Keines dieser Gefühle möchten wir missen, möchten uns daran erinnern und jeden Moment bewahren. 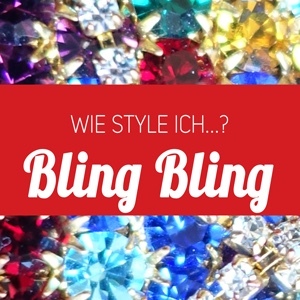 So wie wir jeden Tag fühlen, ist auch Schmuck pure Emotion. Die Anhänger aus Silber 925 von LaViida fassen Erlebnisse, Empfindung und edle Steine in liebliche Formen, die die Trägerin beschwingt durch den Tag begleiten: Die Kollektion „Vario“ erzählt von der Freude, „Motto“ setzt lebensfrohe Botschaften in Szene, „Simboli“ zeigt was uns wichtig ist und „Ti Amo“ wen wir lieben. 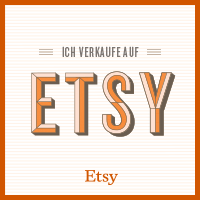 …as well as earrings to their portfolio. Every piece of jewelry is made of 925 Sterling Silver and handmade in Italy. 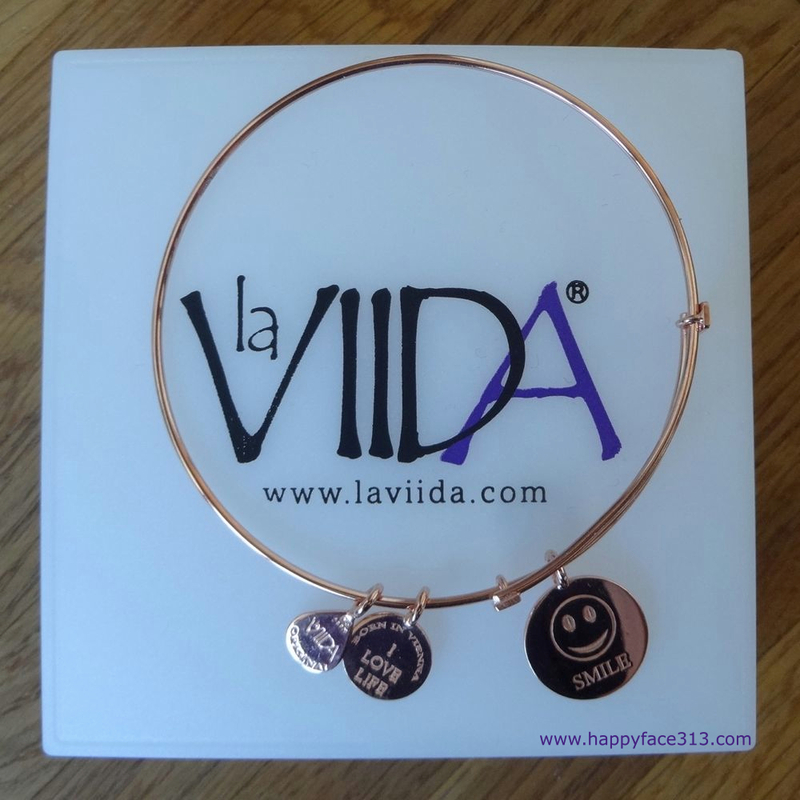 La Viida has a very nice jewelry selection and I trust that there’s something for everybody. 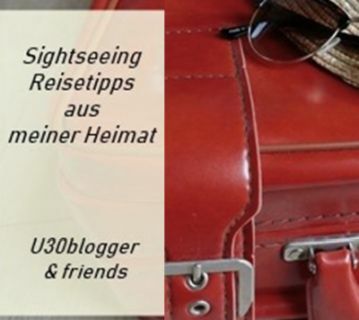 …und nun auch Ohrringen in sein Sortiment aufgenommen. Jedes Stück ist aus 925 Sterlinsilber in Italien gefertigt. La Viida hat eine schöne Auswahl an Schmuckstücken und ich bin mir sicher, dass für jede(n) etwas dabei ist. In my teen years, when we spent quite some time in Southern California, my dad gave me a gold HappyFace on a necklace. Sadly, I have no idea what happened to it. 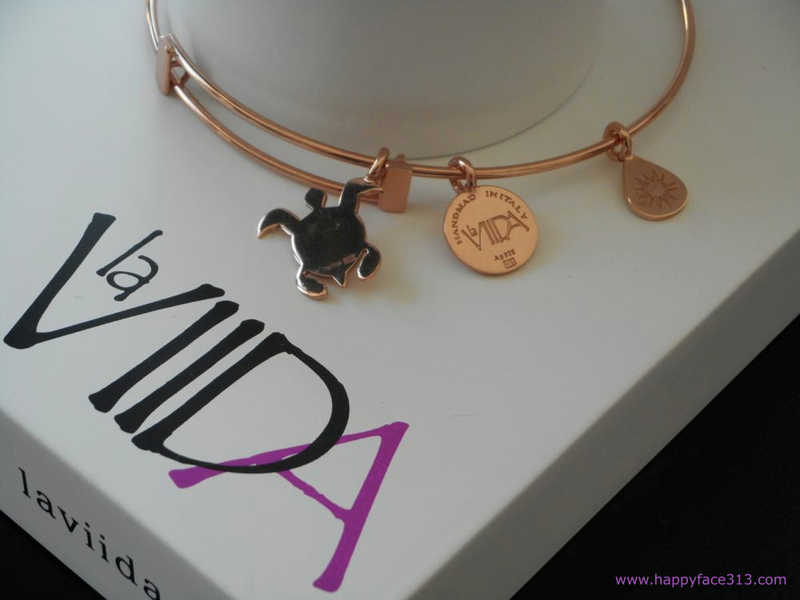 Hence I was tickled pink when I received this pink gold Motto bangle with a smiley face. Thank you very much, La Viida! Mein Vater hat mir in meiner Teenager Zeit, die wir großteils in Südkalifornien verbrachten, mal einen goldenen Smiley an einer Kette geschenkt. Leider weiß ich nicht, was aus der Kette geworden ist. Umso mehr habe ich mich gefreut, als ich diesen roségoldene Motto Armreif mit einem Smiley Anhänger geschenkt bekam. 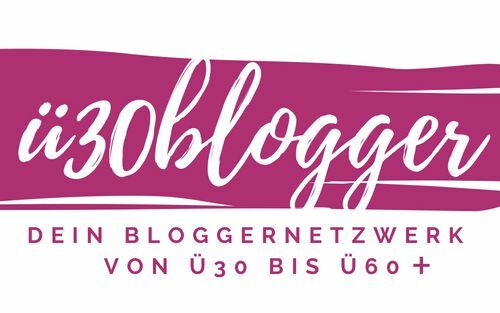 Herzlichen Dank, La Viida! When I grew up, my mom taught me that one wears silver or gold, mixing silver, white, yellow and pink gold was not an option. I think the mixing of metals became trendy when the Trinity ring became a “must”. Personally, I like the idea of wearing mixed colored jewelry, so this bangle will go very nicely with many of my other bracelets. Als ich aufwuchs brachte mir meine Mutter bei, nur Silber oder Gold zu tragen. Damals hat man Silber, weiss-, gelb- und roségold nicht miteinander kombiniert. Ich glaube, dieses änderte sich erst, als der Trinity Ring zum Must Have wurde. Mir persönlich gefällt die Idee, alle Metalle miteinander tragen zu können. Deshalb wird dieser Armreif auch sehr gut zu meinem übrigen Armschmuck passen. Keep in mind that Christmas is not even 3 months away. You might want to give a friend or a loved one one of these delicate good luck pieces? Check it out for yourself here. Vergessen Sie nicht, dass Weihnachten in weniger als 3 Monaten vor der Tür steht. Vielleicht mögen Sie ja eine Freundin oder einen geliebten Menschen mit einem dieser zarten Glücksbringer beglücken? Weitere Details gibt’s hier. 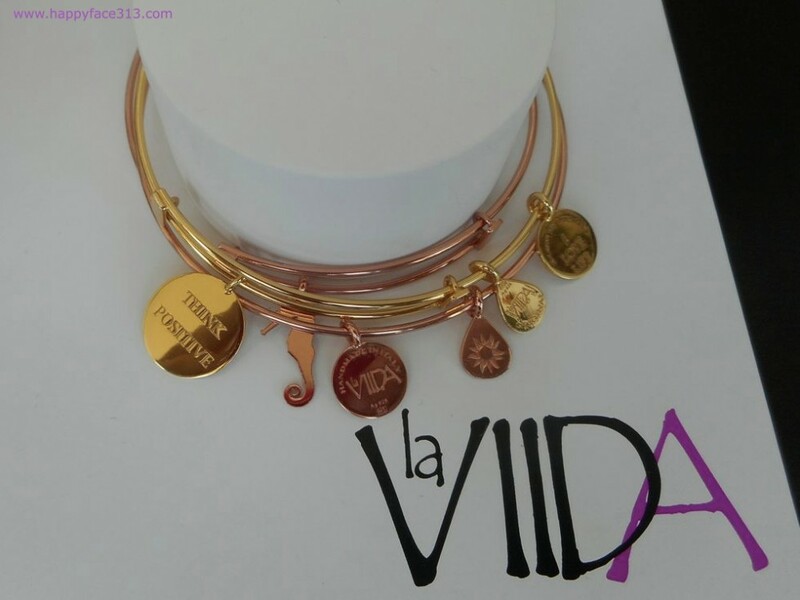 Disclosure: The pink gold Motto bangle was sent to me by the company, but all opinions expressed here are my own. Thank you, La Viida! Der roségoldene Motto Armreif wurde mir kostenlos zur Verfügung gestellt, jedoch beeinflusst das nicht meine Meinung darüber. Danke an La Viida! Very beautiful. I’m especially happy for you that you received the gift of a Happy Face. That made the gift even more special. 🙂 Thank you, my dear! I think it’s really darling. And when I’m in a bit of a grumpy mood, this HappyFace makes my day. How lovely … never heard about before. I wish my neck and wrist was suitable for small delicate jewelries like that. I wish you a lovely weekend … I hope that your hubby has recovered. Been thinking on you. Hadn’t heard very much before either. I guess you’re right – you’d need them quite a bit larger. But you can wear large jewelry!